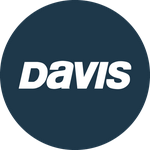 Davis Instruments Support, FAQs and Troubleshooting - Why didn&apos;t my CarChip report anything in the vehicle trouble log when the ABS light was on? All Categories ​>​ FAQ ​>​ Vehicle Monitoring ​>​ Why didn&apos;t my CarChip report anything in the vehicle trouble log when the ABS light was on? The diagnostic trouble codes (DTC) report error codes or trouble lights only for the engine and power train. This system records and reports no data for the ABS, cab light, seatbelts or other systems not directly connected to the engine or the power train. What happens when CarChip Connect is unplugged from the vehicle? When using the Queaz-Away, where should the button rest on my arm?